GCW Resources / News / Did you know we have an A+ with the Better Business Bureau? 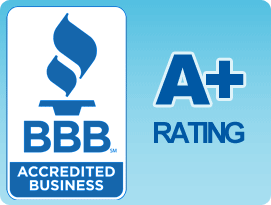 Crowe Custom Counters and Granite Countertop Warehouse are proud to have earned an A+ from the Better Business Bureau. Our team takes great pride in offering the best customer service in the industry. Fabricating and installing granite countertops is not a seamless a process as many are led to believe. It takes great attention to detail and communications to design, fabricate and install granite countertops for many reasons including getting the right cut, customizing to cabinetry and logistics. Our team including designers, fabricators and installers are dedicated to maintaining a high level of communication before, during and after the installation. Our customer service department is actively monitoring the process and the people performing the installation. Our team is comprised of knowledgeable professional that have been fully screened and insured. We take care in making sure that you have peace of mind when letting us into your home or business. Crowe Custom Counters and Granite Countertop Warehouse do not use contractors and only use our employees to enter your home. BBB has determined that we meet BBB accreditation standards, which include a commitment to make a good faith effort to resolve any consumer complaints. BBB is a non-profit organization that promotes truth in advertising by investigating questionable advertising claims, and asks advertisers to voluntarily substantiate, modify or discontinue those claims when appropriate.